A cloud of some trillion or more icy bodies is said to surround our solar system, orbiting the sun. In 1950, Dutch astronomer Jan Oort proposed that some comets we see closer to Earth have flung into the solar system when this cloud was disturbed by various phenomena in the cosmos. Oort’s hypothesis holds to this day, though scientists have not directly observed this cloud. It is thought to be debris that has been hanging around since our solar system was created. It could hold clues to the formation of the solar system. 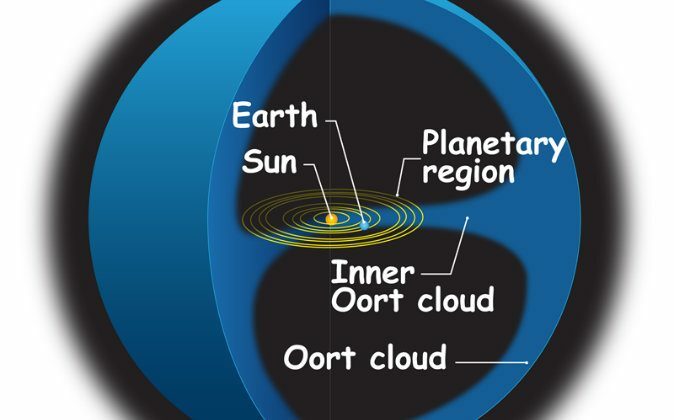 The Oort Cloud occupies space at a distance between 465 billion miles to 9.3 trillion miles. To put it in perspective, that’s 5,000 to 100,000 times the distance between the sun and Earth. Last year, astronomers studied an object said to have come from the Oort Cloud called 2010 WG9. Dr. David Rabinowitz, an astrophysicist at Yale University, told Universe Today that the object was rotating unusually slowly, possibly caused by tidal locking to another object. Tidal locking is when multiple objects have a synchronized rotation. This occurs between the moon and Earth, for example, as the same side of the moon always faces the Earth. “Very little is known about the Oort cloud–how many objects are in it, what are its dimensions, and how it formed,” Rabinowitz explained. “By studying the detailed properties of a newly arrived member of the Oort cloud, we may learn about its constituents.” He was looking forward to using larger telescopes to get a closer look. His team could see that the surface likely had many variations, but could not tell what those variations may be or what they could mean. Astronomer Neil DeGrasse Tyson discussed the Oort Cloud on Sunday’s episode of “Cosmos: A Spacetime Odyssey.” Tyson questioned the values of our society in which many people know the names of mass murderers, but are unfamiliar with the name of the man whose theories include not only the Oort Cloud, but also important discoveries about the Milky Way. 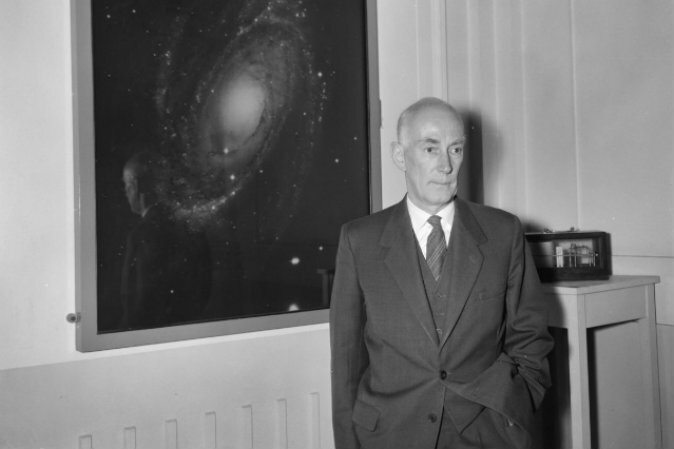 Oort was the first person to estimate the distance between our sun and the center of our Milky Way galaxy, a distance of about 30,000 light years. He was also the first to predict that a supermassive black hole may exist at the center of the galaxy. He was right on both counts.